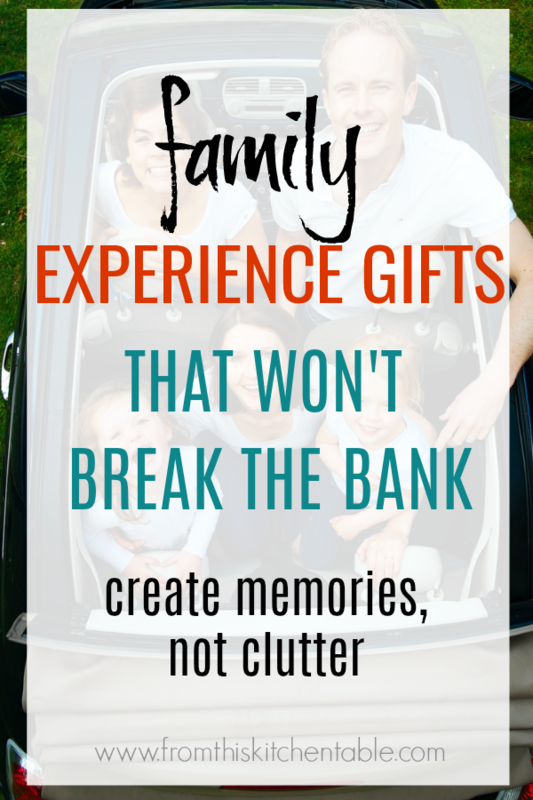 Family experience gifts that don’t break the bank are such a great idea! It’s present season. So many gifts. Not only are your kids receiving gifts from you but most likely there will also be gifts from friends, grandparents, and other relatives. Our kids only need so much stuff. Our houses can only hold so much stuff. Often times we find ourselves buying things because we have to get our kids something or because we find a good deal. All the gifts, even if we are trying to find good deals, can eat away at the budget. What if, instead of buying all these little un-needed gifts, we pooled the money and gave family experience gifts instead? Things that we otherwise wouldn’t splurge on but we know that our kids would love. For the first time we are doing a family experience gift this year and the kids are so excited. We were gifted a week stay at a timeshare and are purchasing the attraction tickets to use on our trip. Take a day trip to a near by city. Spend money going to museums, amusement parks, state parks or whatever the local attractions are. If your family is like ours and eating out is not something you normally do, splurge on a fun restaurant experience to finish off your day. Museum memberships are typically well worth the cost if you just go 2 or 3 times and are perfect for a family experience gift. All three of my kids absolutely love the science museum an hour and half from our house. If your kids are not yet teens, the zoo is another great place to get a membership for a family gift. Maybe throw in some gift certificates to get ice cream or a special treat after a few of your visits. Choose your family’s favorite sport (or team) and purchase tickets, or season tickets if you can afford it. Baseball, football, basketball, soccer, or hockey are all fun ideas! Hockey games are a fun memory from my childhood. Put together a basket of age appropriate board games for your kids. Include snacks, drinks, and everything you need to throw a super fun game night. Throw an all day game tournament over Christmas break and then the gift continues giving over the next months. Watch Groupon for deals at Great Wolf Lodge or other such hotels. When you find a great deal, book a few days at the lodge and wrap some beach towels or other small water themed items up for Christmas morning. Plan a camping trip for when the weather is nice. It could either be to your favorite location or try some place new. Does your crew need any new camping gear? Wrap that up along with a brochure about your camping destination. Don’t have the budget to plan a week long trip? That’s okay. Put together a mini vacation. Whether it’s one, two, or three nights, plan a trip that your kids will think is awesome and they won’t question the length! My kids would love a long weekend in Branson, MO and going to Silver Dollar City or going just an hour away and spending a few nights in a hotel, swimming, and hitting up the local sights. Living on a tight budget can mean saying no to a lot of these types of things. Use Christmas as an opportunity to purchase gift certificates to any place like a jump gym, bowling alley, or movie theater and go have fun as a family. Are presents for your kids a struggle year after year? 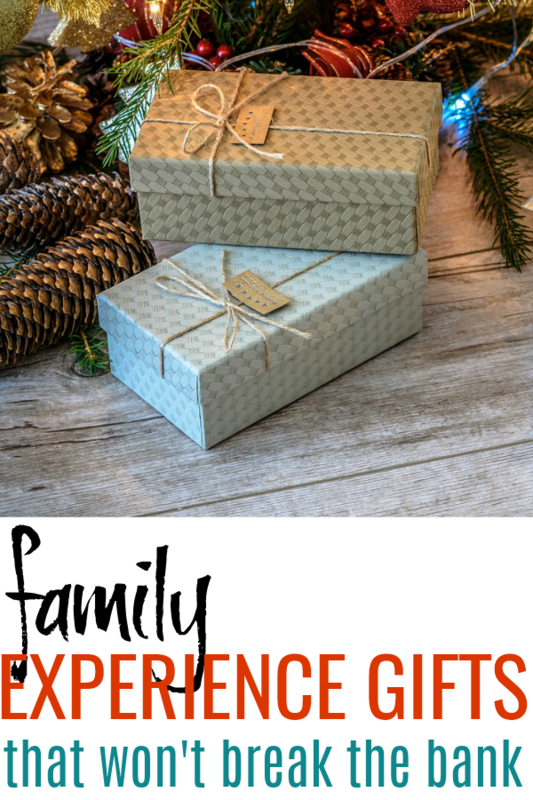 Try something different this year and wrap up family experience gifts! Not only will you prevent new clutter in your house, you will get to create memories with your kids. 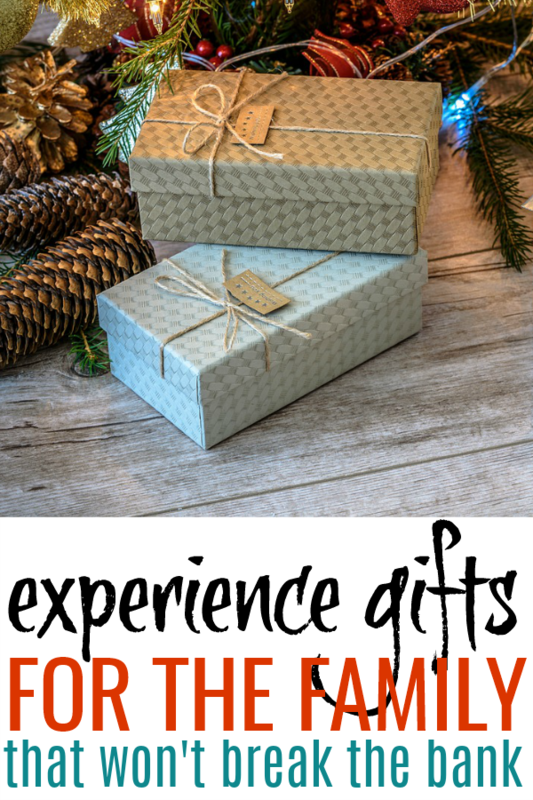 You can find a family experience gift that will work on your budget! 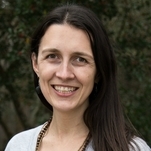 This entry was posted in Christmas, Holidays on November 8, 2018 by Deanna Michaels.